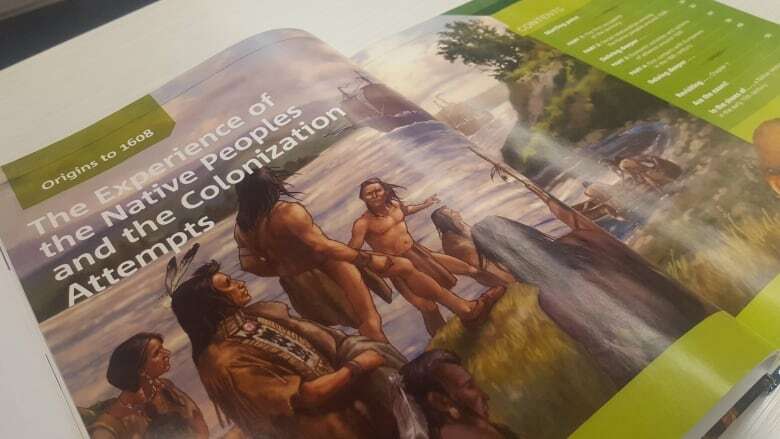 Quebec's high school history textbooks fail to adequately tell the story of the province's minorities and Indigenous population and should be pulled from classrooms, according to an independent review commissioned by the English Montreal School Board. The review, conducted by three historians, concludes the textbooks, used to teach students in Secondary 3 and 4, cannot be "salvaged" through minor changes. "The only logical academic and pedagogical conclusion is that all of these books be withdrawn so that a more appropriate set of student books may be written and used by students," the 30-page report concludes. Indigenous peoples are presented as "others" and antagonists, rather than original inhabitants whose place was colonized by outsiders, and "whose own history became inextricably linked to the history of Quebec and Canada." The lack of development of black history. Specifically, black and Indigenous slavery are "conspicuous by their absence." Women are relegated to "a few sidebars or disconnected paragraphs in both textbooks." Jewish and Irish history are "neglected" and "there is no indication that immigration transformed Montreal into a complex multi-cultural city." The report, obtained by CBC News, was commissioned by the EMSB after teachers and activists raised concerns about its content when it was first piloted in 2015-16. The report was first obtained by The Canadian Press. It suggests allowing the textbooks to be used until June 2021, when they can be replaced with a more "inclusive" document that reflects Quebec's diversity. It was presented to EMSB board members on Wednesday. A spokesman for the EMSB did not immediately return a request for comment. The provincial history course, which traces the history of Quebec from pre-contact to the present, was originally developed under the Parti Québécois. The PQ had campaigned in 2012 on a promise to emphasize Quebec's struggle for nationhood in the provincial school curriculum. The previous Liberal government quietly took steps to address to "better reflect the Indigenous perspective" by modifying the existing text books earlier this year, at cost of $1.6 million. The authors of the report are Terry Copp, a professor emeritus at Wilfrid Laurier University; Jennifer Lonergan, a Canadian historian and executive director of the Montreal-based organization Artistri Sud; and John Zucchi, a history professor at McGill University.